Foundations are my thing, I love trying them, I love buying them and the minute I hear about a new release I’m onto it – add either ‘smoothing’, ‘poreless’ or ‘blurring’ into the name and you’ve instantly sold it to me. 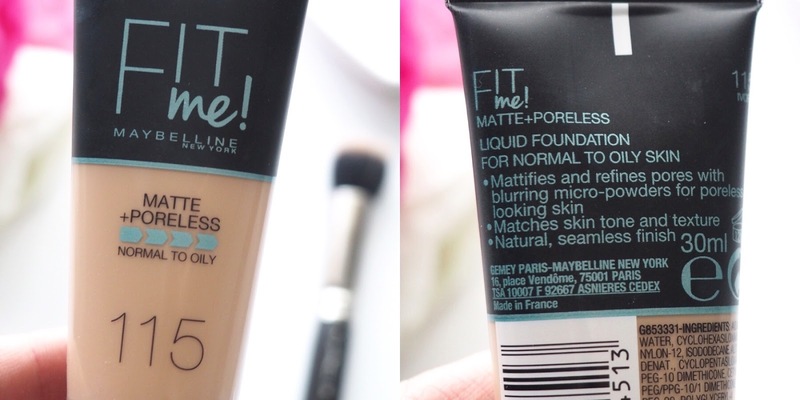 The newest addition to my stash and one I’ve had my eyes on for a while now is the Maybelline Fit Me Matte + Poreless Foundation. Whilst it’s still fairly new to the UK, those lucky enough to be over in America have had this foundation for a while now meaning it’s been raved about by a lot of beauty gurus making me instantly need it in my life. When it comes to drugstore foundations, although I’ve tried a fair few there’s just never one that’s really wowed me enough to be classed a favourite, so I didn’t go in expecting much from this one – I just thought it’s not too much of a loss if I don’t get on with it but if I ended up falling in love with it then YESSS. When I saw it on display in Boots I picked it up in about 0.03 seconds and ran to the till like I was carrying something sacred, so you can understand my excitement to try it the next moring… yes my life is that tragic. 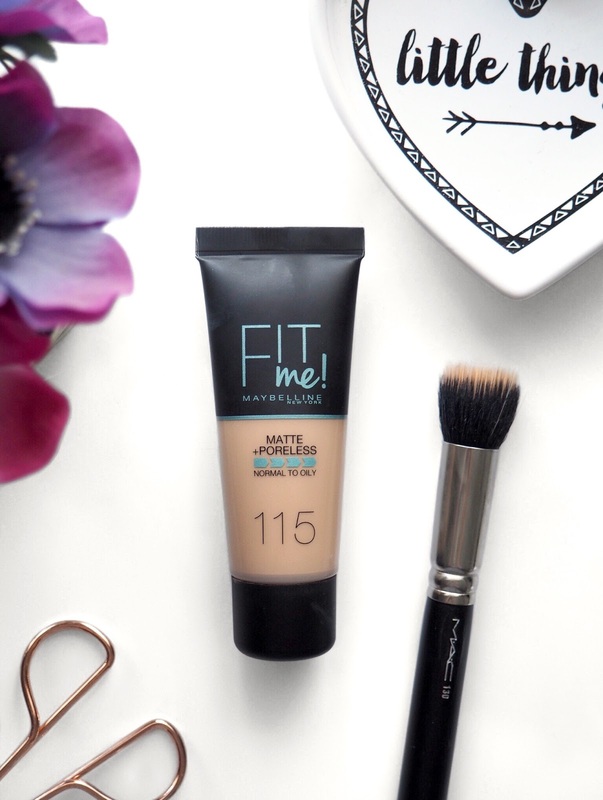 As for the actual foundation, Fit Me Matte & Poreless is aimed at those with combination to oily skin like myself. With past experience I tend to approach matte with caution as it can often be drying/cakey looking but luckily that hasn’t been the case with this. As I have combination skin I like to first use the Bobbi Brown Face Base which hydrates my drier areas giving a smoother base for the foundation. As for applying it I’ve found the best way is to lightly buff it into my skin with the MAC 130 brush and then go over with a damp Beauty Blender just to make sure it’s blended in well for a seamless finish. I’m really surprised by this foundation, it’s fast become one of my top 3 and for somebody that’s tried more foundations than any one human needs that really is saying something. The poreless part of the name is deserved and not just a selling point, I suffer large pores around my nose and they do appear less visible when I’ve used this which is great for if I’m taking pictures of my makeup. It does keep my oily ares matte throughout the day without being too drying on my dry areas – thank you makeup gods. I find it lasts on my skin all day without fading or needing touching up which is another bonus. The formula is more on the runny side which I prefer in a foundation and you’ve got plenty of time to blend it in before it starts to set. I really like that it looks natural enough for everyday wear yet it still gives a medium to full coverage that I like when I’m taking makeup pictures. The only downside I’ve found is the shading, the shade range is poor in this line especially if you’re pale like myself. I opted for the lightest shade, 115 Ivory, but as you can tell by the swatch above it does lean on the orange side of the scale. Once I’ve blended it into my skin it does appear lighter so it matches me well but I’d say if you’re any lighter than a MAC NC15/20 then I’d say go and give it a swatch before purchasing it – hopefully they’ll add some lighter and darker shades to the line soon! So it’s official, I think I’ve found my holy grail foundation, I never thought I’d say the words! Have you tried this? 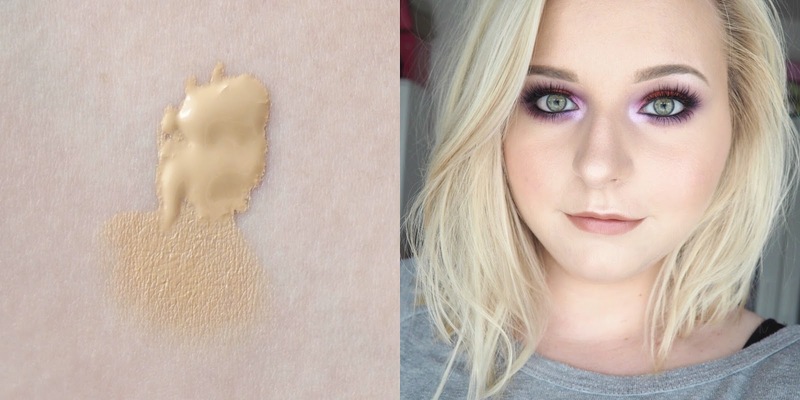 What’s your holy grail foundation?